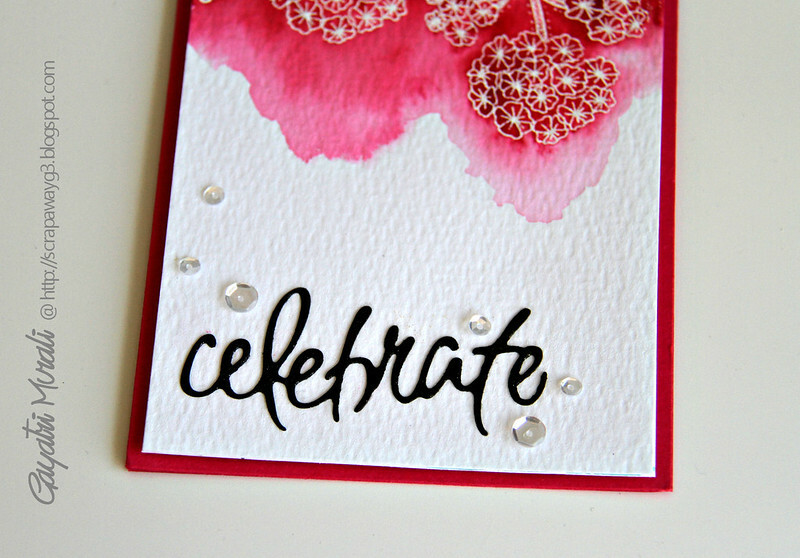 Sharing a watercolour card using Penny Black stamp set and dies. 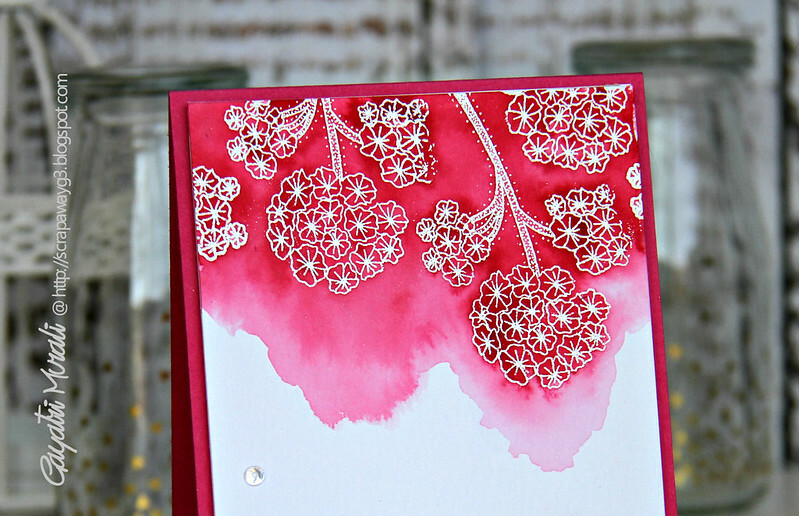 I have white heat embossed the hydrangea flower image from Blooming Garden stamp set on watercolour cardstock. Then watercoloured with Peerless watercolour. I love the vibrant colour of Peerless watercolour. I have colour washed first then added the same colour here and there to add shading. 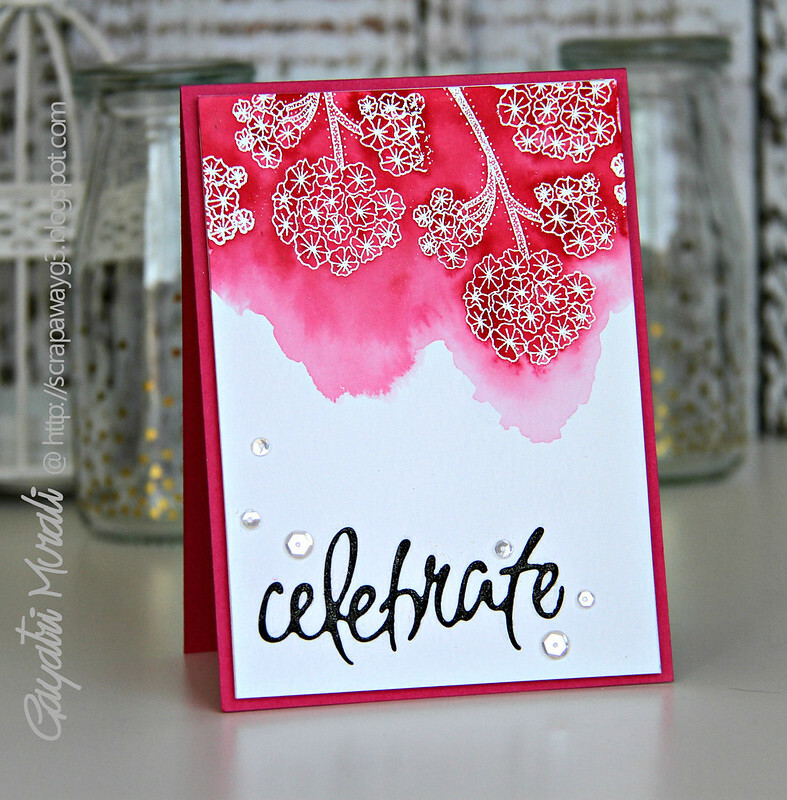 For the sentiment I have used the Celebrate die from Celebrations die set. I die cut using black cardstock, brushed with wink of Stella shimmer pen and adhered on the bottom. Finally added some Sparkly Clear sequins from Pretty Pink Posh. Here are the stamp set and die set I used on my card. I am also entering this card for Simon Says Stamp-All things Bright and Beautiful challenge. Thanks for stopping by! I will see you with a shaker box later today. Wow, this is gorgeous. I have that stamp but never thought to hang it upside down. I will definitely be trying this. Totally stunning Gayatri. I love the colour of the paint you've used. A stunning card Gayatri, a wonderful colour scheme and watercoloured background with pretty PB stamped flowers!! Oh good lord I LOVE this! The red is just amazing – pinning it for future caseing!! Thanks for joining us this week at the Simon Says Stamp Wednesday Challenge.